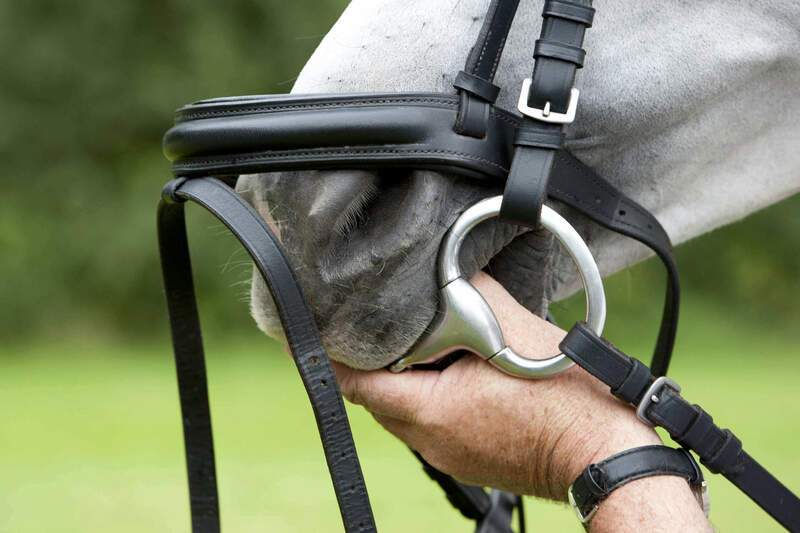 Everyone who owns a horse may at some time face an emergency situation. This can range from a minor scrape to severe colic or bleeding situations. There are some basic organizational steps and materials that will aid you in most types of these situations. As with scouting, the same motto applies: "Be Prepared." Have a plan that you understand and, if possible walk through it prior to really needing it. To recognize what may be abnormal in a horse, one must first know the normal resting temperature, pulse and respiration for horse(s), as well as, how and where to measure them. Safety first for you and the horse. Stay calm, assess the problem and formulate steps required to handle the issue(s). Be alert. Notice and record as much information as possible on what is happening, i.e., get the complete picture. Call your veterinarian — their advice over the phone can be invaluable. Let's take a look at each step and discuss in more detail. 1. Have an up-to-date First Aid Kit: now where it is, and how and when to use each item. The following are some suggestions on what types of items are good to have on-hand, but it's also a good idea to work with your veterinarian for other suggestions and recommendations. 2. Keep important phone numbers easily accessible: post the numbers in your barn, trailer, etc. and program them into your cell phone. 4. Have a plan: take record of the following information. Performing even routine procedures can sometimes be very difficult in emergency situations. If you are unfamiliar or uncomfortable with wrapping legs or hooves, or determining respiration or pulse, it is best to practice before an emergency occurs. Get instruction from your veterinarian or other competent individuals. Hopefully most horse owners will not have to face severe situations with their horses. Proper planning and training, along with having the right materials close at hand, will minimize the added stress these types of situations can cause.